In Riyadh, Saudi Arabia, 9 December 2018 will witness the 39th summit gathering of an institution without peer. This writer, who is here in the Kingdom’s capital, is scheduled to be present as The Custodian of the Two Holy Mosques, King Salman bin Abdulaziz Al Saud, presides over the 39th Meeting of the Gulf Cooperation Council (GCC)’s Supreme Council, a grouping of Arab rulers and/or their chief representatives. 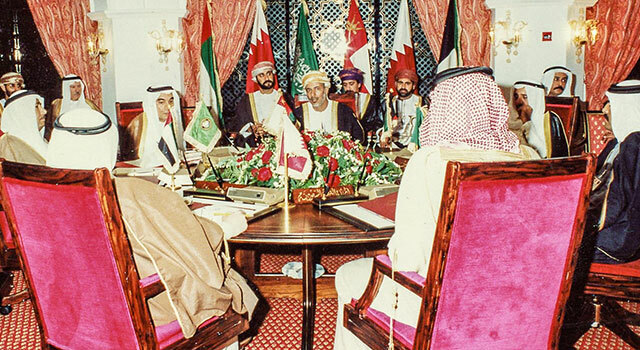 The GCC was founded in the Emirate of Abu Dhabi in May 1981 at a summit, which it was my privilege also to attend, by the sovereigns of the half dozen countries that line the entire length of the western coast of the Gulf. All six are adjacent to the Islamic Republic of Iran, their maritime neighbor. The GCC’s six member-states are Bahrain, Kuwait, Oman, Qatar, Saudi Arabia, and the United Arab Emirates (UAE). 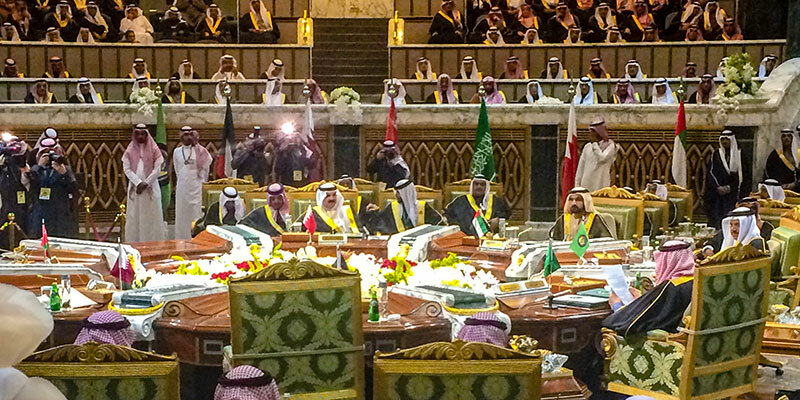 Among the world’s 130 emerging and former foreign dominated countries, no other grouping of governments can be reckoned to be as powerful and influential as the GCC. The reason? Collectively, they control thirty percent of the planet’s proven reserves of oil, the vital strategic commodity on which the world’s economies rely. It is of course true that America’s supplies of shale oil in the past several years have made an enormous difference in global energy production. Indeed, their discovery and accelerated output have catapulted the United States to the position of the world’s largest oil producer. Even so, America has long been the earth’s largest user, greatest importer, and most prominent waster of oil and gas. There’s a compelling reason for the first two of these observations. Without hydrocarbon fuels, the standard of living, material wellbeing, and the overall level of comfort of every person in the United States would be lower. Despite this, the rest of the world’s peoples are puzzled as to why Americans also remain the planet’s single loudest whiner about the prices, usage, and role of such fuels. An abiding reason has to do with how relatively inexpensive many fuels are in the United States compared to other countries. Even so, this steadily depleting natural resource continues to be among the most important drivers of world economic growth. GCC foreign ministers meet on the sidelines of the 10th GCC Summit in Muscat, Oman. Photo: Dr. John Duke Anthony, 1989. In addition, the six GCC countries include within their midst the epicenter of prayer and pilgrimage for the Islamic world. The faith and spiritual devotion of the 1.7 billion Muslims’ worldwide – nearly a fourth of humanity – is anchored here more than any place else. In his opening remarks to the assembled throng, Kuwait’s Amir, HH Sheikh Sabah Al-Ahmad Al-Sabah, spoke from his heart. He did so to a hushed gathering of his peers representing the six member-countries of the Gulf Cooperation Council (GCC): Bahrain, Kuwait, Oman, Qatar, Saudi Arabia, and the United Arab Emirates (UAE), at the organization’s recent 38th Ministerial and Heads of State Summit. His Highness Sheikh Sabah Al-Ahmad Al-Jaber Al-Sabah addresses the opening session of the 38th Gulf Cooperation Council (GCC) Ministerial and Heads of State Summit at Bayan Palace in Kuwait City, Kuwait, on December 5, 2017. Photo: Dr. John Duke Anthony, 2017. Had there been a more solid substance than the carpet beneath their feet, one could have heard a pin drop. The muted tones were not merely out of respect for one of the organization’s two longest-serving leaders (the other being HM Sultan Qaboos of Oman). They were also a reflection of the serious juncture at which the summiteers were gathering. For the past six months, the organization has been witness to a crisis the likes of which the six-country grouping has never before experienced between and among the members. In addition, it has also been beset with an unprecedented and extraordinary array of exceptionally difficult issues. The effort to manage and deal effectively with such issues would strain the statecraft skills of any diplomat or foreign policy decision maker. Yet, despite the moment’s need for context, perspective, and detached analysis, perhaps no previous summit has been as misreported as this one. The phenomenon was apparent from even before it was announced that invitations for the summit had been sent. 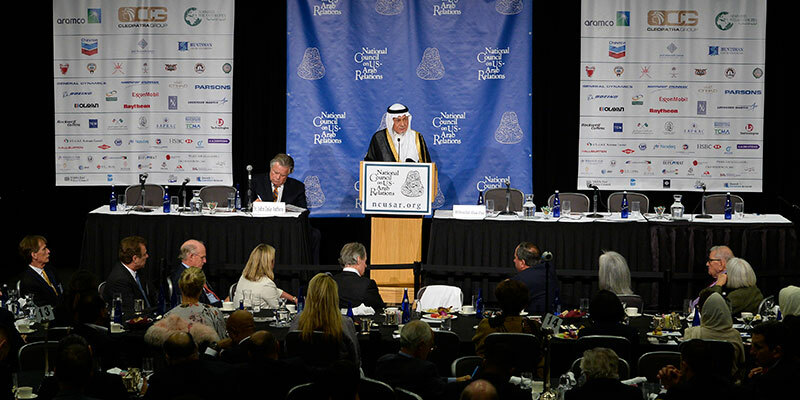 Keynote speech by HRH Prince Turki Al Faisal delivered at the National Council on U.S.-Arab Relations’ 26th Annual Arab-U.S. Policymakers Conference on October 19, 2017, in Washington, D.C. The Middle East today is in a state of turmoil as never before. I will limit my talk to issues causing disorder and anarchy and on my hopes for a peaceful, secure, and stable region. Looking into today’s prevailing conditions and state of affairs in the Middle East, particularly, the Arab region, we find no credible signs that call for much optimism: strategically, it is vulnerable on all fronts and is widely exposed to all possibilities. This strategic vulnerability is as old as the establishment of the nation-state order following World War I. However, catastrophic events during the past decades such as the recurring Arab-Israeli wars and conflicts, the Lebanese civil war, the Iraq-Iran prolonged war, the invasion of Kuwait, the invasion of Iraq, and constant foreign interventions have contributed greatly to this vulnerability. Coupled with this is the failure of many of our states in facing the shared and constantly looming threats to our existence and to our people. Poor social, economic, educational, and cultural policies, and the selfishness that characterized some Arab leaders’ foreign and domestic policies for decades are causes of this mess. All of what we witness nowadays unfolding and that was exposed by what is called the “Arab Spring” is but an indictment of these policies and natural results of it. In Iraq it has led it to becoming a failed state with a collapsing society; the cause of Syria’s free falling into a swamp of blood, destruction, desolation, terrorism, conspiracies and foreign interventions; the cause of the sinking of Yemen into an inferno of conflict and civil war; the cause of the failure of the Libyan state; the unrest in other Arab countries; the cause of the spread of the transnational phenomenon of terrorism within many of our states; the cause of the spread of armed militias that are not under the control of nation states; and the spread of appalling sectarianism and other negative development. All that is a condensed representation of our deplorable state of affairs. Our unenviable present was the future of our recent past, and the way we deal with our present is the future awaiting us. It is imperative that we must consciously learn from the pitfalls of the past. We must plan our future wisely and be alert at all times if we want to avoid a catastrophic future. We must courageously face the challenges that threaten our existence and attain a visionary approach to the future, if we wish to attain a decent place on the world stage. Author HRH Prince Turki Al FaisalPosted on October 23, 2017 October 23, 2017 Categories development, foreign policy, GCC, Iran, ISIS, Saudi Arabia, U.S. policy1 Comment on The Middle East Today: Where To? As a candidate for the Oval Office, Donald Trump was not shy about criticizing Saudi Arabia. Contexts change, though, and as President his administration has refrained from unjustified, unnecessary, and provocative statements in this regard. Saudi Arabia, birthplace of Islam and home to the faith’s two holiest places, is a country that is vital to America’s national interests and strategic concerns. It has been one of the foremost U.S. national security partners for the past eight decades – longer than any other developing nation. If America is to be “great again,” it can and must be greater in very particular ways. One of which is to be far greater than derogatory and antagonistic rhetoric toward a country central to the world’s 1.6 billion Muslims, who represent nearly a quarter of humanity. By selecting Saudi Arabia as the first stop on his historic visit, the first official one to any foreign country, President Trump has been prudent to seize an opportunity to turn a new and more positive page towards Arabs and Muslims in the region and beyond. The President’s visit has a chance to begin healing wounds that have been inflicted on Muslims the world over. Selecting Saudi Arabia as the first stop on this historic visit – when the American President could easily and without controversy have selected any one among numerous other countries – sends a strong message to the Arab countries, the Middle East, and the Islamic world. The announcement of his visit to the country has already had a powerfully uplifting and relevant symbolic effect. Its impact has been greatest on the Kingdom and its neighbors. U.S. Secretary of Defense Jim Mattis meets with Saudi Arabia’s King Salman Bin Abdulaziz Al-Saud in Riyadh, Saudi Arabia, on April 19, 2017. Photo: U.S. Department of Defense. Peoples of this region include large numbers that have longed for this kind of American leadership for quite some time. The visit speaks volumes as to how vital these countries are to the United States. It underscores their critical importance to America’s friends, allies, and the rest of the world. The results of the U.S. Presidential Election last month confounded most American political pundits and many professional pollsters. Donald Trump’s upset victory over Hillary Clinton also surprised many observers in the Gulf Cooperation Council (GCC) countries (the GCC is comprised of Bahrain, Kuwait, Oman, Qatar, Saudi Arabia, and the United Arab Emirates). Almost immediately after the result was announced, though, it became clear that leaders from the region were ready to embrace the new President-elect and prepared to quickly adjust to the new political reality. Within hours, GCC officials congratulated President-elect Trump. They expressed a desire to strengthen the decades-old partnerships between their respective countries and the United States. According to at least one Saudi Arabian news outlet, President-elect Trump conveyed a similar sentiment to King Salman. The two reportedly spoke by telephone within hours of the election results. Each side appears to be fully aware of what lies ahead. All appreciate how difficult it will be to overcome the unprecedented political violence and insidious sectarianism that has convulsed seven of the 22 Arab countries in recent years. Numerous observers in the GCC countries have expressed hope that President-elect Trump’s administration will adopt a proactive approach to the turmoil in the region. Others are particularly eager to ascertain what, if anything, he may do differently than the Obama administration regarding the threat posed by militant groups like the so-called Islamic State. Just as importantly, there is anticipation that the new President will take seriously the GCC’s deep concerns about Iran’s policies in the Arab world. 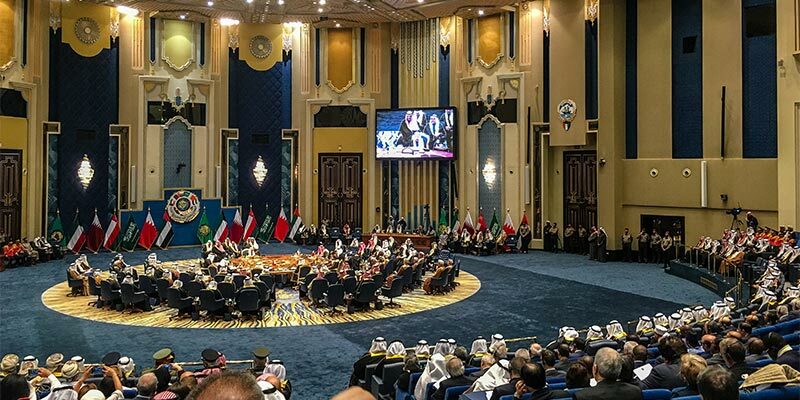 Leaders from Bahrain, Kuwait, Oman, Qatar, Saudi Arabia, and the United Arab Emirates at the recent 37th Gulf Cooperation Council Heads of State Summit in Bahrain. Photo: Saudi Press Agency. The reference to the latter concern is especially Tehran’s support of militant non-state actors like Hezbollah in Lebanon, the Popular Mobilization Units in Iraq, and the Houthi rebels in Yemen as well as what further assistance it may extend to the government of President Bashar al-Assad in Damascus. It is difficult, of course, at this early stage to ascertain the contours of what may, at some point, become known as the “Trump Doctrine.” Even so, important lessons can be drawn from history. The National Council is pleased to present the most recent addition to its Analyses and Assessments series: an essay on “U.S.-GCC Relations and the Fight Against ISIS.” The author, Dr. Imad Harb, is a Non-Resident National Council Distinguished International Affairs Fellow. The author takes measure of the robust and enduring defense and security relationships between the United States and the GCC countries. In so doing, he takes note of the nature and extent of progress made by the 67-member coalition battling the so-called Islamic State in Iraq and Syria (ISIS). Dr. Harb examines the need to plan now, not later, for the reconstruction and stabilization efforts necessary for the territories already liberated – and those yet to be liberated – from ISIS control. In so doing, he identifies the numerous but little reported contributions that GCC countries have made in the fight against ISIS. He also highlights the ongoing challenges to domestic security as well as external deterrence and defense that the region continues to face. In the process, Dr. Harb acknowledges the ways in which robust GCC-U.S. cooperation is working for the respective partners’ and parties’ collective and mutual as well as individual interests and benefit. In terms of timing, the atmosphere for producing such an essay could hardly be more receptive. The moment, moreover, could hardly be more propitious. The evidence for both is rooted in the extraordinary array of summit-like meetings of late among the coalition’s principals. The sheer number of these high-level gatherings has been remarkable. So, too, among the participants has been the seriousness and intensity of their deliberations. Together, these endeavors have hardly been mere academic exercises. To the contrary, they have been the opposite. They have exposed the purveyors of so-called informed opinion. They have revealed the quackeries of established thought. They have uncovered what otherwise passes, but should not be allowed to pass unchallenged, as conventional wisdom. As such, they have helped mightily to counter many of the cynics. Among these were the perennial pessimists. Counted among them were those professional naysayers who had never regarded the GCC-U.S. relationship as a serious alliance or even a credible geopolitical arrangement to begin with. U.S. Secretary of State John Kerry with Saudi Arabian Foreign Minister Adel Al-Jubeir at a July 2016 meeting in Brussels, Belgium with other regional Foreign Ministers from the Gulf Cooperation Council countries. Photo: U.S. Department of State. Dr. Harb’s essay therefore refutes the many who had seemed resigned to believe that whatever the parties to such international leadership summits might agree to – in terms of how best to wage the war against ISIS – is likely to be too little and too late. In the process, the essay’s author underscores how numerous analytical factors are frequently missed or receive insufficient attention in American commentary regarding the Arab countries, the Middle East, and the Islamic world. In this, one might ask, “Is there nothing new under the sun?” What’s new and exciting is that, yes, there is. This has arguably been and remains the case with regard to the anti-ISIS campaign’s efforts to come to grips with ISIS’ roots and rise. And it continues, too, to be the case in the battle to free the territories that ISIS has captured. In any rational effort to comprehend how ISIS came into being and what is a driving force for many of its members, it would seem unquestionable that one should, and would, focus foremost on first factors, on causal realities. With this as context, metaphorically speaking, would the phenomenon of there being a “Made in the United States” label in the eyes of so many ISIS’ victims ordinarily be viewed as a commonplace occurrence? No, researchers and writers would ordinarily regard something of this nature, context, and dimension as no everyday experience but, rather, a reality and insight of profound importance and relevance. Yet an insight as significant as this, key as it is to one’s knowledge and understanding of the roots, formation, and evolution of ISIS, is frequently overlooked, forgotten, or ignored. So, too, for many commentators, is the otherwise seemingly inexplicable reason for how and why so many U.S. government policies, positions, actions, and even attitudes have severely damaged key American foreign policy objectives in Arabia and the Gulf, one of the world’s most vital regions. “Of what objectives is one talking about,” would be a legitimate question. The answer: the maintenance of security and stability, something so basic to any people’s existence and prospects for future development and prosperity – which is arguably just as legitimate – that it could hardly be clearer and more straightforward. Included among the decisions with the gravest negative consequences was the George W. Bush Administration’s rejection of the United States’ GCC allies counsel not to attack Iraq. That the United States’ invasion and occupation of Iraq caused the deaths and maiming for life of thousands of Americans and hundreds of thousands more Iraqis and other Arabs, there can be no doubt. If this and the mainly American policies, positions, actions, and attitudes towards Palestine from the very beginning fail to provide insight into the raison d’etre and staying power of ISIS, insofar as its leaders and rank and file members from the beginning have been and remain so anti-American, then what would? In the process of killing a country – of destroying a nation and a people that had not attacked the United States or posed any grave danger to U.S. interests – America cannot say it didn’t know what might happen. Prior to the American-led attack against Iraq, this writer participated in separate meetings with two quite different GCC foreign ministers in their respective countries who reiterated this message. The ministers spoke to members of delegations of American leaders for whom it was my privilege to lead to the GCC region’s countries on fact-finding missions up to the day in March 2003 when the invasion began. But speak the truth as often and as forcefully as these and many another Arab leaders did, it was all for naught. Did not the military action that the United States commenced in 2003 unleash the torrents of carnage that continue to this day? And if not, what did? 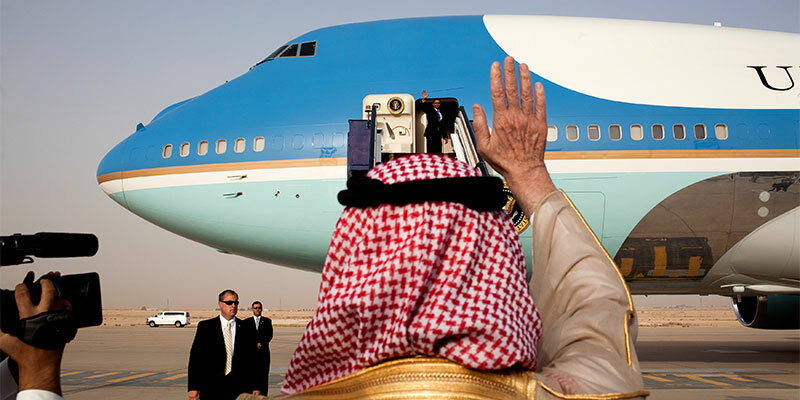 Does it require a rear view mirror or a replay of the recordings from years past to underscore that the present challenges which the United States’ GCC allies cautioned against more than a decade ago are – surprise, surprise – also the ones that a robust and enduring GCC-U.S. partnership are working to solve? This latter question is but one among numerous others that Dr. Harb’s essay seeks to address. Much has been said about the supposedly troubled relations between the United States and the Gulf Cooperation Council countries. Many in Washington have gone out of their way to paint the relationship as weakening in a way and to a degree not previously envisioned. The “evidence”: some cite a desire on the part of the Obama Administration to shift its focus to East Asia to counter Chinese adventurism. Others point to something else. They cite the brokering by the United States of a nuclear deal with Iran. From this perspective, the latter will purportedly pave the way to a full return of American-Iranian relations but only – and some would claim obviously – at the expense of the GCC. Still others note the United States’ lukewarm attitude regarding the Syrian quagmire, and/or what appears to be a hands-off approach toward pressing concerns elsewhere, whether elsewhere in the Arabian Gulf or in the wider Middle East. And yet, the reality is that, in contrast, the nature and extent of political coordination and military cooperation between Washington and Gulf capitals have seen a robustness that proves the exact opposite. 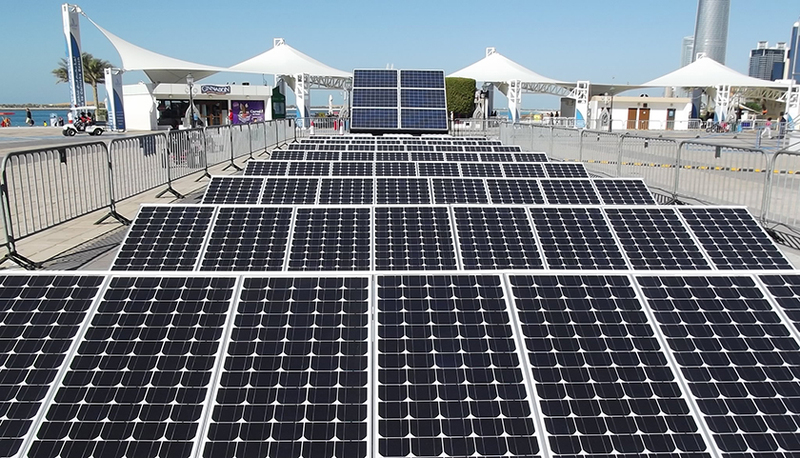 Gulf Cooperation Council (GCC) oil and gas producers face the long-term question of how much and how quickly global markets will move from fossil fuels toward cleaner energy. With one of the region’s key strategic and economic concerns being long-term energy demand, Gulf oil producers have long acknowledged that they have an interest in being ahead of the game in planning for future demand reductions in their key markets. The Paris Agreement of December 2015 may provide clues to the future of clean energy in that it incentivizes increasingly ambitious climate targets and actions by participating states. If the accord is translated into lasting policies across different economies, and depending on the extent to which the policies are implemented, it may be that future generations will use and benefit from a cleaner, more sustainable energy supply. What might also occur is that oil and to some extent gas producers will face a progressively uncertain future for their fossil fuel-based exports.